Who doesn’t appreciate a well-maintained, landscaped lawn? When you want your lawn to look it’s best, we can help you out at Midland TX Lawns. Let our local Midland, Texas professional lawn care experts provide you with the services to keep your lawn looking its best all year round. There are some lawn care services that will make you break-the-bank to keep up with the care and maintenance of your lawn. You are in luck because we’ll never do this to you at Midland TX Lawns. We will work with you to meet your needs at prices that you can afford. It doesn’t matter how big or small your lawn might be, you can still count on us for your service needs. Midland TX Lawns provides lawns service in Midland, Texas area. We have a team of lawn care professionals that have been in the industry for a very long time. They take pride in the work that they do and that is why you can be certain that they will always provide you with a superior quality of service. It is our aim to always exceed the expectations of our customers. This requires that we talk to our customers to find out exactly what their wishes are for their lawn and the things that trouble them the most. Getting to know the needs of our customers is important to servicing them in the way they wish to be serviced. We provide a large variety of lawn care services at Midland TX Lawns. Since our lawn care professionals have received professional training and have years of industry experience, it’s easy for them to meet the needs of the customers we serve in the area. Since we offer such a wide selection of lawn care services, we are sure that we will be able to effectively assist with your service needs. There is a lawn care professional at Midland TX Lawn who has the ability to successfully care for your service needs. Since we are the most reliable and effective lawn care service in the area, our services are often chosen over others. You will always get what you pay for when you rely on our services. Instead of going out in the hot summer heat to mow your lawn, you can simply give us a call at Midland TX Lawns to handle the job. We have a team of lawn care professionals who are capable of effectively handling the job for you. With fast and efficient methods for getting the job done, you have nothing to lose by giving us a call to help with your moving needs. We always offer fair pricing. You may think you know what weeds look like but in our experience, what most people think are weeds are not weeds. This means that when they are attempting to treat the weeds, they aren’t actually treating weeds. Rather than wasting time trying to determine if what is growing in your yard are weeds, just give us a call and allow our qualified experts to take care of it for you. 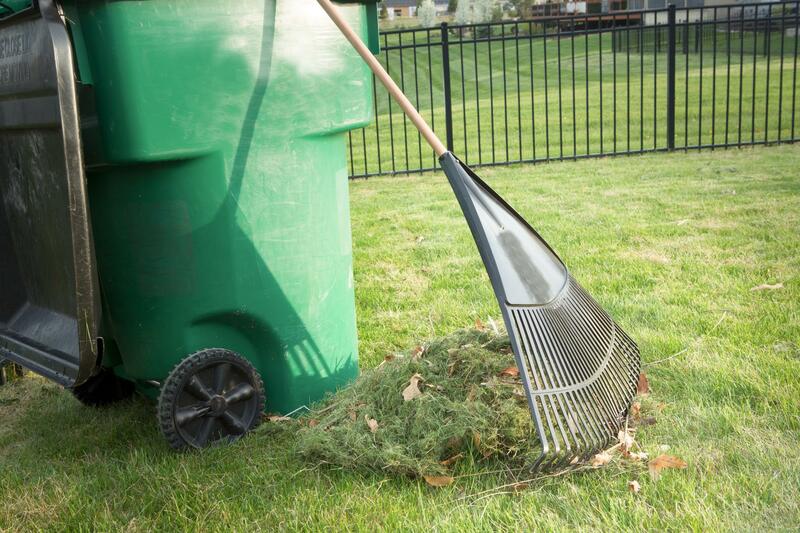 If you have just mowed your grass, cut your bushes and shrubs, edged up your lawn, the last thing you might want to do is go out and clean up everything. Well, you're in luck because, at Midland TX Lawns, we can take care of all of your lawn care needs, even your yard cleanup. Enjoy your time off and leave the job of caring for your yard cleanup to us. If you begin to notice that your tree's leaves are not as green as they used to be and that it just doesn't look at lush as it did, there may be a problem. If you have a diseased tree on your property, this could become problematic. Let our tree arborists assess the condition of your tree so that they can determine the care that is required to bring it back to life again. There is no denying that monthly lawn care can keep your lawn looking its best all year round. Rather than trying to determine when you need to mow the lawn, prune the trees, or cut your bushes and shrubs, why not allow our professional lawn care experts to tend to the care of all of these things for you on a routine basis. Keeping up the appearance of your lawn contributes to your homes curb appeal. “Regardless of how big or small your lawn might be, you can always count on the services of Midland TX Lawns. They do everything and we don’t have to lift a finger. In fact, we didn’t know our lawn could look so good until we started using this lawn care service.” – Michael T.
"We continued to receive quotes for lawn maintenance and they were so ridiculous that we just gave up. However, we stumbled upon a quote from Midland TX Lawns and couldn’t believe what we saw. We called them immediately! They were fantastic!” – Caroline B. “When my husband could no longer care for our lawn, we chose to use the services of Midland TX Lawns. They offered us a reasonable rate and they show up as scheduled. We highly recommend their services to anyone looking for an affordable lawn care service in Midland.” – Charrisse P.
If you are the type that enjoys driving home or leaving home and looking at a well-maintained lawn, you can do this all the time with the help of Midland TX Lawns. Our expert lawn care experts will be able to effectively take care of all of your lawn care needs. We have all that is needed to effectively address any of your lawn care service needs. Call us to learn more about our lawn care services and how we can be of service to you.